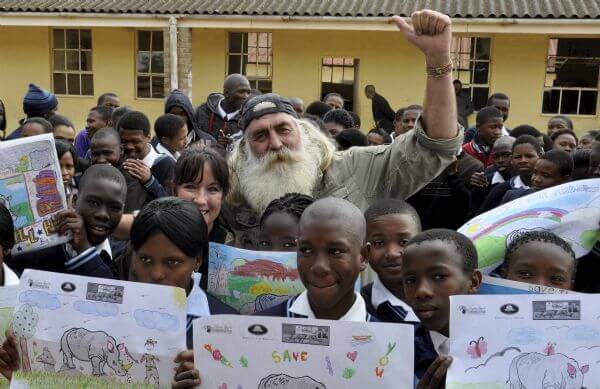 It was a proud moment for the team at Shamwari recently when Kingsley Holgate visited & explained the whole concept behind The Kingsley Holgate Children’s Rhino Art Project and learning how it can help to prevent rhino poaching by getting the school children involved. Via an art competition, the top two artists in each grade throughout the school will be taken on game drives sponsored by Shamwari to go and see rhinos in the wild. Shamwari, through Joe Cloete the Group General Manager, has committed to supporting Kingsley’s Project with bibs for the soccer day and some branded prizes when the artwork competition is completed.